I don't believe it! 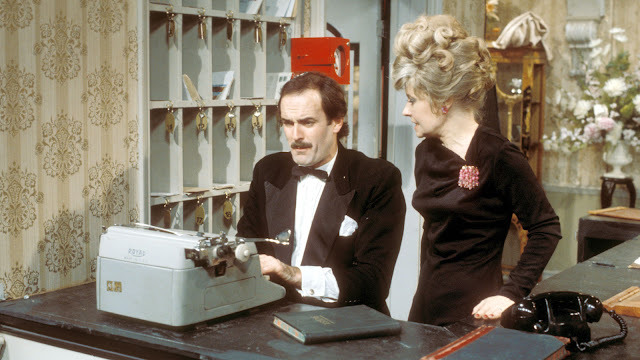 It will be 40 years on Saturday since the first episode of Fawlty Towers, unquestionably the funniest series ever to appear on television, was shown (on BBC2 on September 19, 1975). 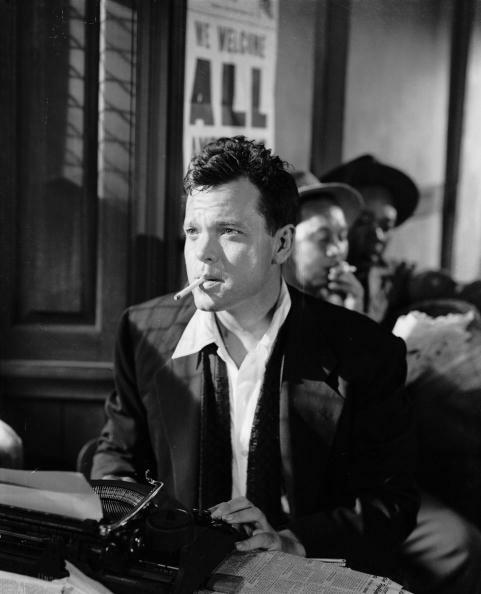 Since I was living in Dublin at the time, I got to see "A Touch of Class" (scenes below) at its very first screening, and I think I've watched it and every one of the show's subsequent 11 episodes (series two came out in 1979) at least 10 times since. little Olympia Travellers just last week. 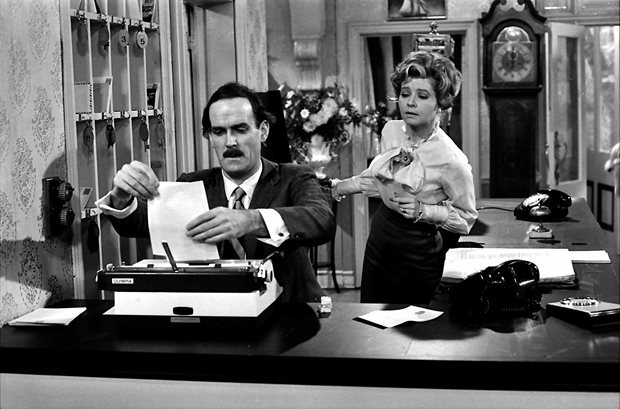 At times when I was offloading machines on eBay, I often referred to myself as the "Basil Fawlty of typewriter sellers". 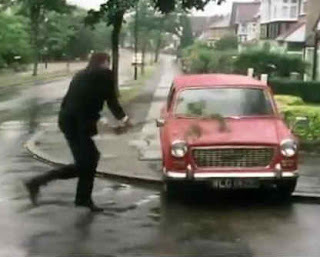 All jokes aside, I did occasionally identify with Basil's behaviour in Fawlty Towers, no more so than his beating of the Austin 1100 in "Gourmet Night" (scenes above). Before going to Dublin in the early 70s, I had owned one of those (usually reliable and surprisingly durable) little beasts, and sometimes felt cause to give it a sound trashing with a bit of birch. Like the time, driving over the Sydney Harbour Bridge, when I had to turn on the windscreen wipers and one took off, landing four lanes to my left. Unlike Basil, though, I never went through with the beating! When I set sail from Sydney for Europe, I gave the 1100 to Gary Burns, he of "One Crowded Hour" (Tim Bowden) fame, who drove it to East Crescent Street, Milson's Point, and left it there. When I reached Rarotonga, I telegraphed the repossession people to let them know where they could collect it. I was way beyond their reach. 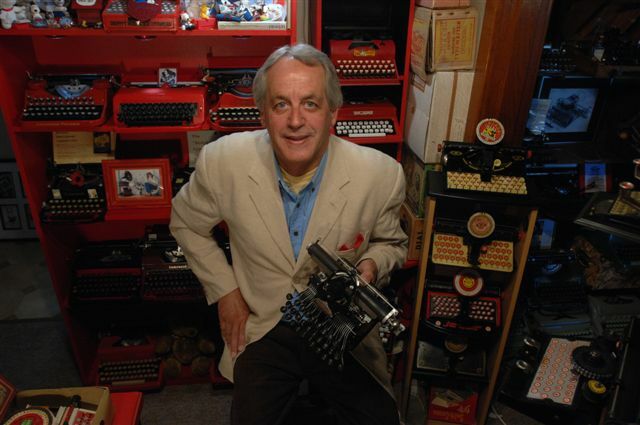 Steve Kuterescz ("Writelepehant"), in a post of the same name ("Fawlty Typers"), covered the abuse John Cleese (as Basil Fawlty) lashed out on typewriters, on his blog in December 2013. If I had been able to attend the 25th anniversary of the closure of the Daily News last Sunday, I would have been able to catch up for a brief type-in with Steve Kuterescz, one of the truly nice guys of the Typosphere. But since I can't afford to walk down the street these days, let alone fly all the way across the continent to Western Australia, it wasn't possible. Let's call her Lesley Jean. OK, perhaps not-such-a-lovely name for an exceedingly lovely young lady. Not that I can vouch, based on first-hand knowledge, for her beauty. As far as I can recall, she had left the newspaper before I joined it, in the late 70s, and I never got the chance to meet her back then. And yes, I agree, if I had actually encountered her in the flesh, I'd almost certainly still have fond memories of having done so. In my defence, I had a lot of distractions going on back then. So too, it turns out, had this young lady. Having grown up in the remote Pilbara, she moved to the Big Smoke to become a newspaper journalist and, from batting off flies in the desert, found herself batting off pesky would-be suitors in the city. 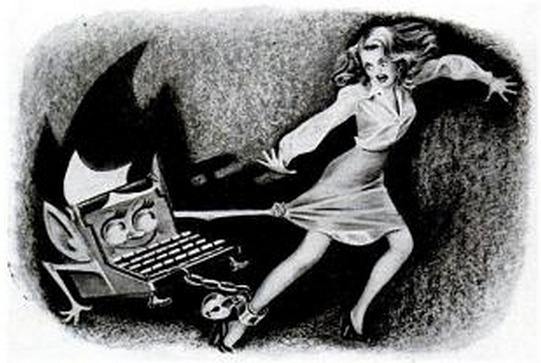 But she handled all that, and soon developed the foresight to grasp that newspaper journalism was a low-paid, dead-end job. She moved on to PR. By the time I joined the Daily, all that remained was her reputation of being an "absolute stunner". Right up there, my new workmates assured me, with Delvene Delaney. They were still intensely green with envy that one of their former colleagues, John Cornell, had gone off into TV comedy work and married this beauty pageant winner. Paul Hogan with his "Strop" sidekick, ex-Daily News reporter John Cornell, and Cornell's wife Delvene Delaney. Anyway, Lesley got to the Daily reunion last Sunday. 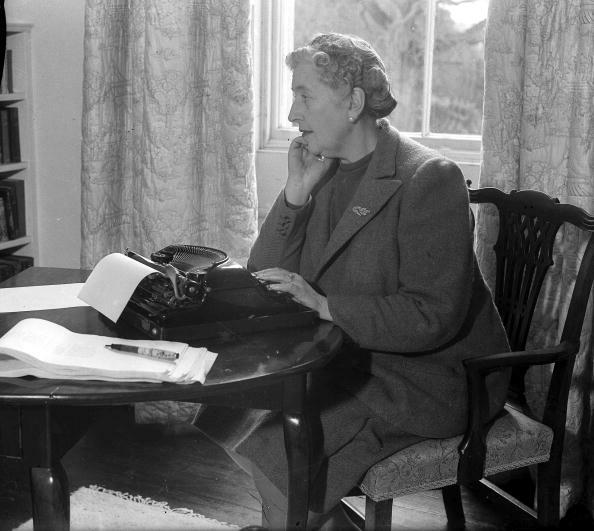 And afterward she wrote about it, in a most amusing way, especially in her recollections of dealing with would-be suitors. It made me even sadder about not having been there. But, as Lesley ended her piece, "Such is life ... Indeed it is - or rather, was." 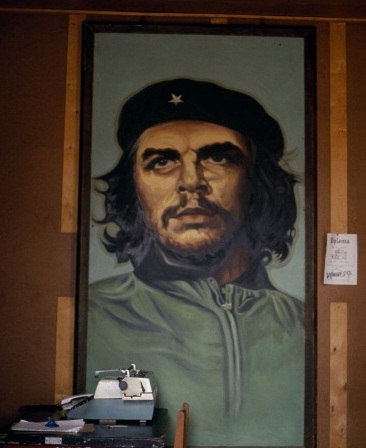 Why is there an image of Che Guevara here? It's a reminder that tomorrow the eighth World Cup rugby union championship kicks off in England. The first pool match for defending champions the New Zealand All Blacks will be against Argentina at Twickenham in London on Sunday. 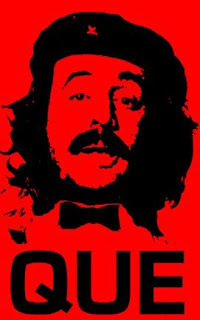 Guevara played rugby union in his native Argentina (as flyhalf for Club Universitario de Buenos Aires. His playing earned him the nickname "Fuser" - a contraction of El Furibundo, or raging) and he was a typewriter-wielding rugby scribe. So there! Go the mighty All Blacks! By anyone's standards, there are some truly weird places among the 30 still registered private museums in Shanghai. There are museums of chopsticks, spectacles, insects, 20,000 Chairman Mao badges (I have one myself! 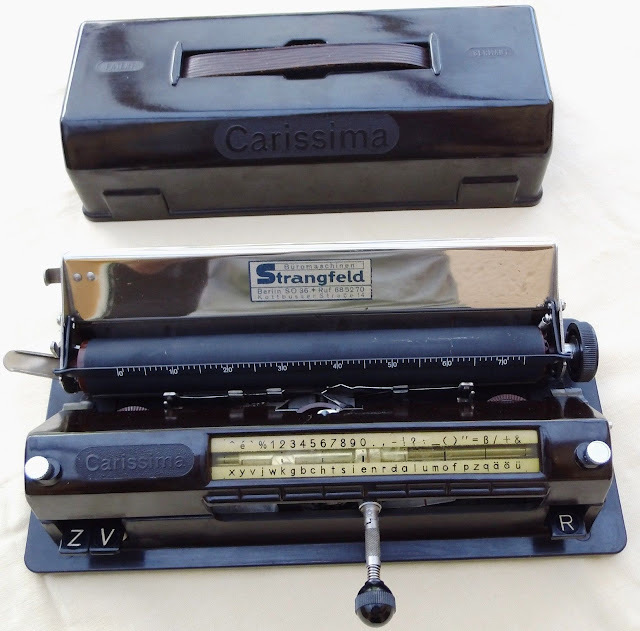 ), pens, ancient coins, music boxes, public security and Jewish refugees. 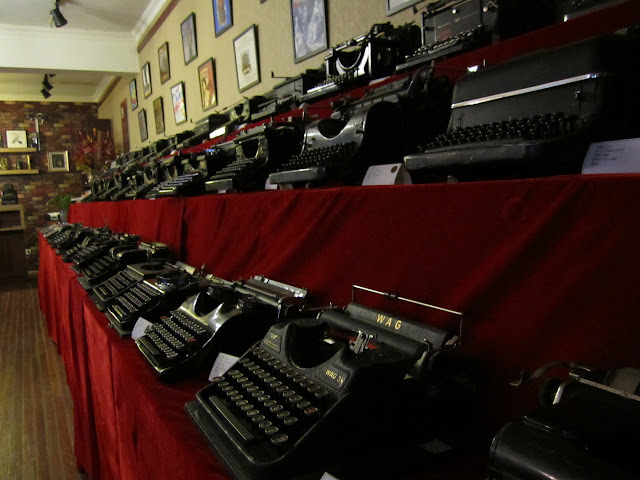 And a typewriter museum is rated among the eight "strangest". I became aware of Lu Habin's Shanghai Typewriter Museum yesterday when a fellow U3A sports historian handed me a page from The Guide in the Shanghai Daily of August 7, headed, "Explore fascinating worlds at museums". An editor's note explained: "The high temperatures might make the seashore an attractive destination, but beaches are not the only place to escape from the summer heat. For those who seek intellectual leisure, the city of Shanghai offers numerous interesting and entertaining museums. Devoting a few hours for a walk at the museums not only feels like a trip back in time, but also entails broadening our vision about a wide variety of topics, including postal history, architecture and so forth. While Shanghai Museum and the Shanghai Natural History Museum might be the best known by residents, there are some hidden pearls that deserve attention. For this reason Shanghai Daily kicks off a series on the city’s museums. This article marks the beginning of a journey to a few of these mysterious parts of the city that offer a new experience for visitors." 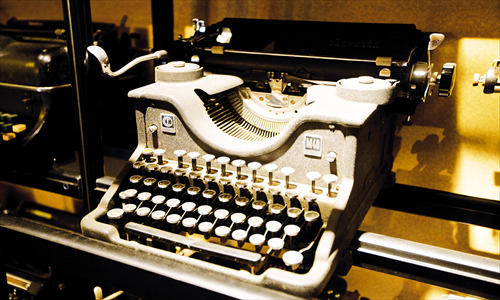 Featured among three museums in this article was the Lu Hanbin Typewriter Museum, located at 7/F, 719 Yan’an Road West. 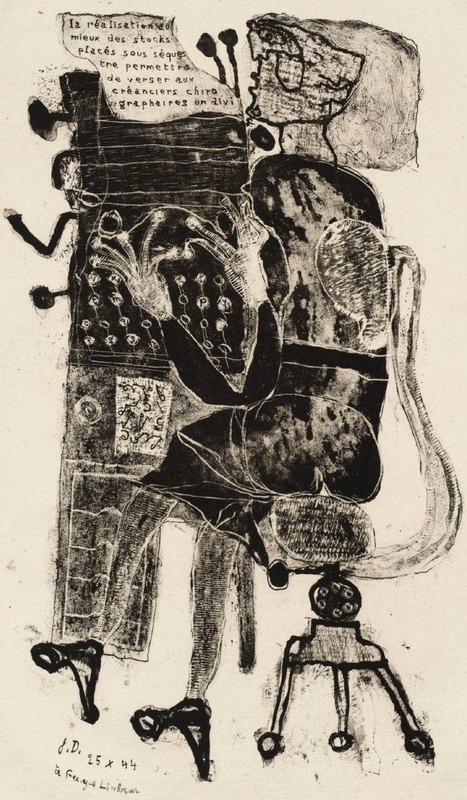 Lu Hanbin (above) is an international merchant of Suzhou origins who spends most of the time in the Czech Republic. He is described as "the rather eccentric vice-chairman of the Czech-Chinese Business Association". 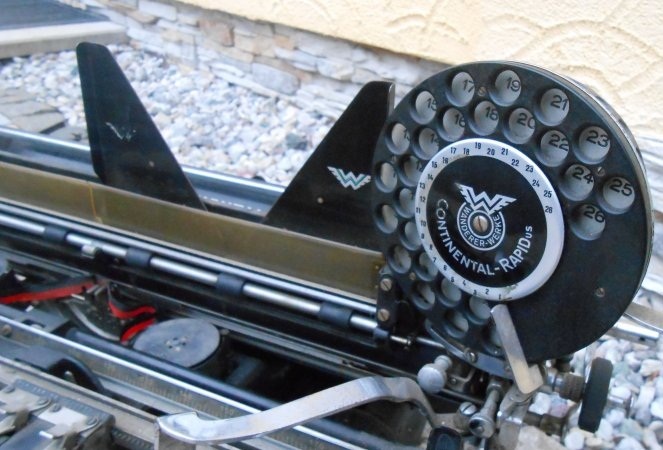 The Shanghai Daily said, "The owner, who is devoted to creating a platform for culture, entertainment and business communication, possesses more than 300 typewriters in 14 languages from more than 30 brands. The museum displays only some of its collection, but they are rotated every month. 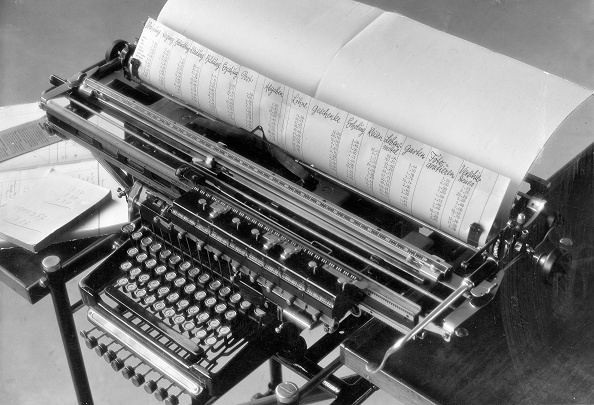 It does not take long to go through the typewriter exhibition [800 square metres]. But those who want to spend their whole day in such an intellectually stimulating environment can opt to sit down and read one of the many books that are on the shelves. The reading activity can be accompanied by a nice cup of coffee or tea [scones, cucumber sandwiches and tea cakes are also on offer in the café upstairs] that can be ordered from the museum staff. The museum, which is also home to an exclusive, private high-end business club, can be used for business events and exhibitions. The venue can also be used to host literary events that specialise in the exchange of ideas between Chinese and foreign writers." Admission is free. The museum opened in April 2010 and is the largest typewriter museum in China (are there any others?). 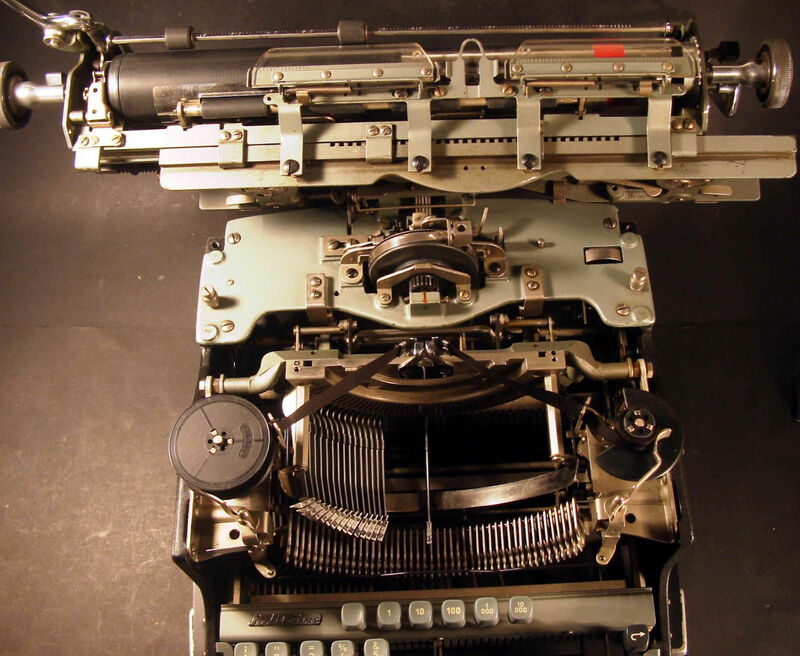 "Surprisingly unfuddyduddy and laid-back, the museum displays a total of 70 typewriters with more than 230 behind the scenes. To keep the nerds coming back, the typewriters are constantly interchanged." 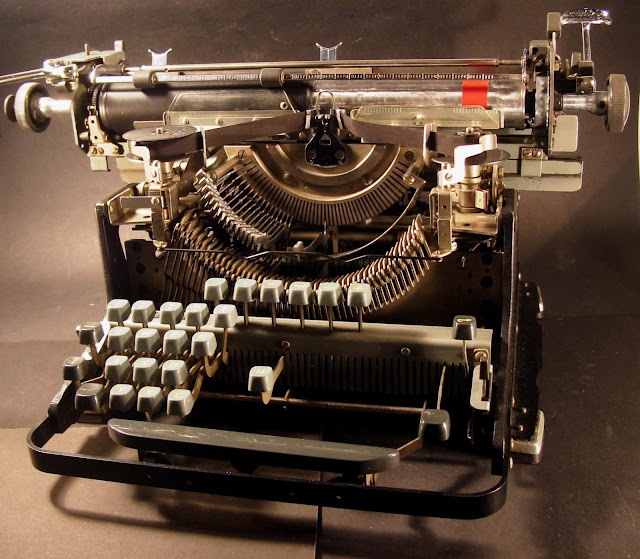 The most knowledgeable review dates the oldest typewriter in the museum to 1900, but others claim it contains "a redwood beauty from 1809" - whatever that may be! 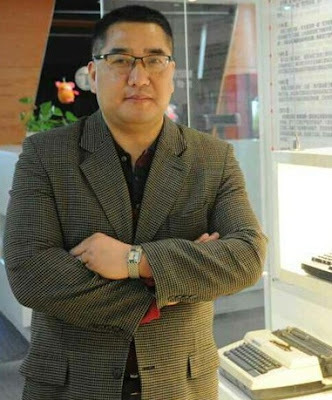 It is said the museum attracts 100 or so visitors a day, but that Lu is "more troubled at trying to find good guides than he is about making money or visitor numbers." He has tried to train his own guides but this didn't work out well. "They weren't really interested in typewriters and I sometimes have to explain exhibits to visitors myself." One reason given for a decline in private museums in Shanghai is that "collectors have spent most of their money in looking for and buying items, and few can run a money-consuming museum without financial support." Don't I know it! 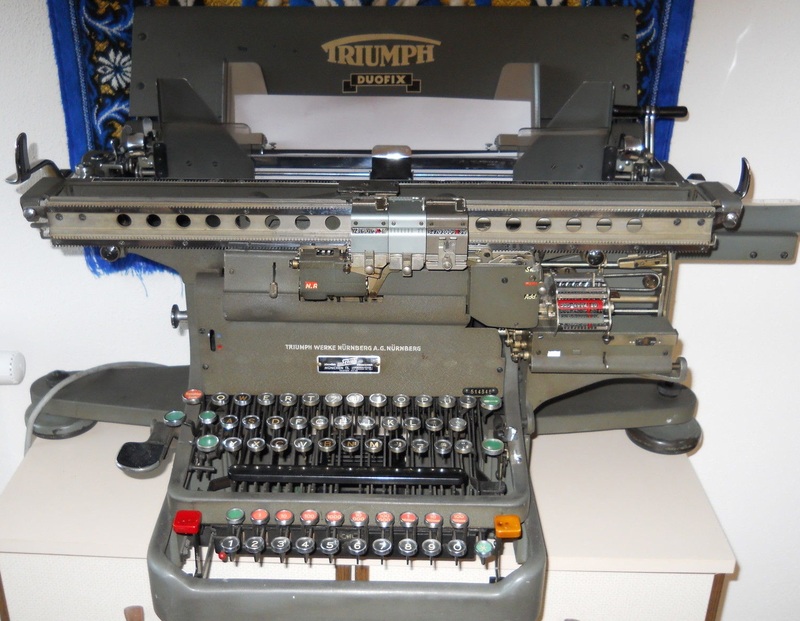 David Lawrence in Auckland, New Zealand, alerted me to this appealing listing on German eBay (starting price, one euro). The description says it is an "original demonstration cutaway model ... Especially suitable for exhibition purposes or for a museum." That Shanghai museum looks like fun! 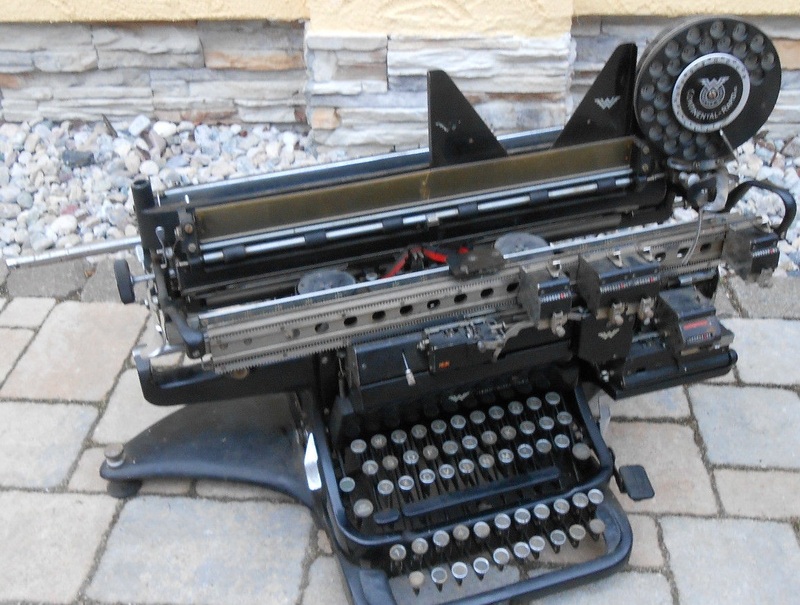 I've added it to my rarely-updated list of publicly displayed typewriters. The Australian beauty I have a crush on is Yvonne Strahovski.